Today we have received RTI reply regarding Normalization in SSC CG 2016 Tier-1. In one word there will not be any normalization done. 5) Will there be any normalization for different level of questions at different shift? 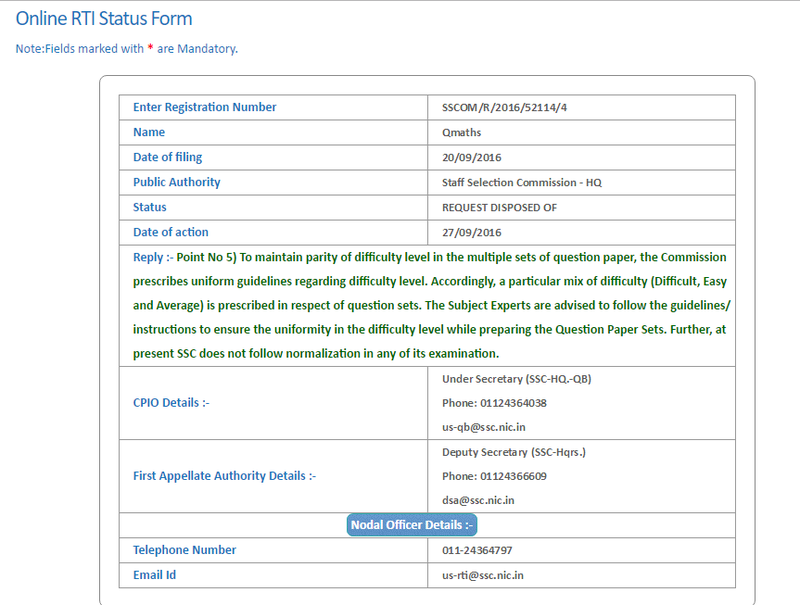 RTI Reply :- Point No 5) To maintain parity of difficulty level in the multiple sets of question paper, the Commission prescribes uniform guidelines regarding difficulty level. Accordingly, a particular mix of difficulty (Difficult, Easy and Average) is prescribed in respect of question sets. The Subject Experts are advised to follow the guidelines/ instructions to ensure the uniformity in the difficulty level while preparing the Question Paper Sets. 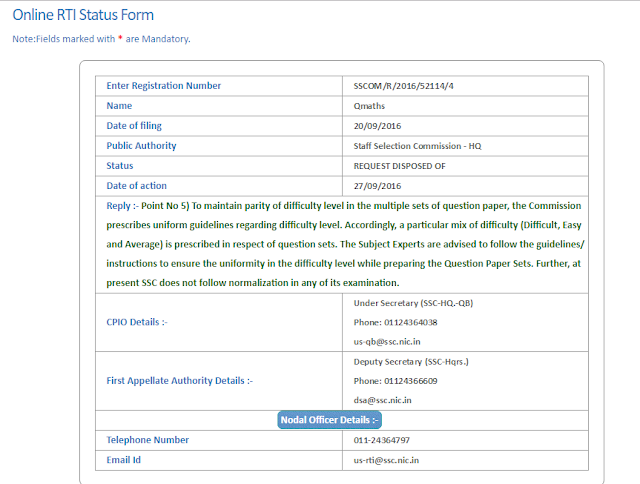 Further, at present SSC does not follow normalization in any of its examination.